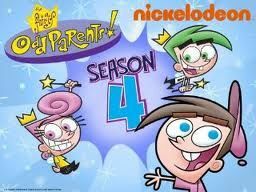 You will Watch The Fairly OddParents Season 6 Episode 12 online for free episodes with HQ / high quality. Stream cartoons The Fairly OddParents Episode 79 Birthday Bashed / Momnipresent. “Birthday Bashed”: Timmy looks forward to his birthday until Jorgen reminds him that each birthday draws him a year closer to losing his fairies; however, Timmy isn’t worried because his folks always forget his birthday, but he then panics when they seem to remember it this time. Note: This is the final cameo appearance of Chip Skylark. “Momnipresent”: Timmy’s preparations for the party of the year are interrupted by his mother, who wants to spend some quality time with him. He then sneaks away every chance he gets to get the party ready. Note: In Birthday Bashed, This is the episode where he turns 11, but in the season 2 episode “Boys in the Band” at the concert, Timmy’s parents said his birthday was the next day, so technically he’s turning 12. Its a error in his age.